After passing her entrance exam, Yuno enrolls at Yamabuki High School as part of an art degree. 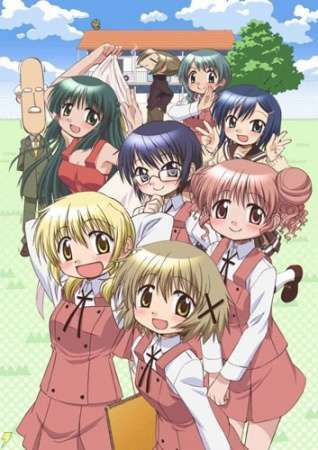 She stays at the Hidamari Apartments along with best friend Miyako, and seniors Hiro and Sae. Each episode follows a day in her life as she mingles with her friends, close peers, overly hyper teachers and closely follows the mundane lives of the high school girls.